This is a collection of reports and mini-studies related to volleyball. Scroll down or click on the title below and it will take you to the report. This is a follow-up paper to “The Importance of Optimizing Touches.” It was written to encourage coaches increase the level of relevant training in their volleyball practices. The height of players ranged from 63 inches to 80 inches for the 2014-15 PAC-12 season. Volleyball is a sport for small and tall alike; however, taller players fill many of the positions. About 43% of the top PAC-12 volleyball players are from California and about three-fourth are from states where PAC-12 universities are located. You have to be the best in your state if you want to play PAC-12. This brief document looks at the points, sets, and matches won by the USA WNT in their victory at the World Championships held in Italy last October (2014). WNT player Tori Dixon attacking the ball at the 2013 High Performance Coaches Clinic. Every point matters in a match. This analysis looks at matches scores from the University of Colorado Women’s Volleyball program from 2006 to 2014. The program has improved slightly since 1999 – one point at a time. It is important for coaches of all sports to optimize the number of touches during practice. This analysis looks at the number of meaningful touches in a series of volleyball practices as a way of encouraging coaches to evaluate their drills and practices as a way of helping their athletes reach their potential (and ultimately win more points). 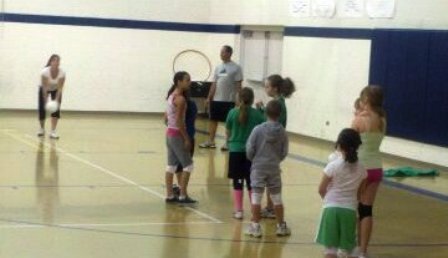 One coach is tossing balls and the assistant coach is watching her. One girl is hitting and seven girls are bored to death! Coaches should evaluate their practice drills to increase the efficiency of their practices. 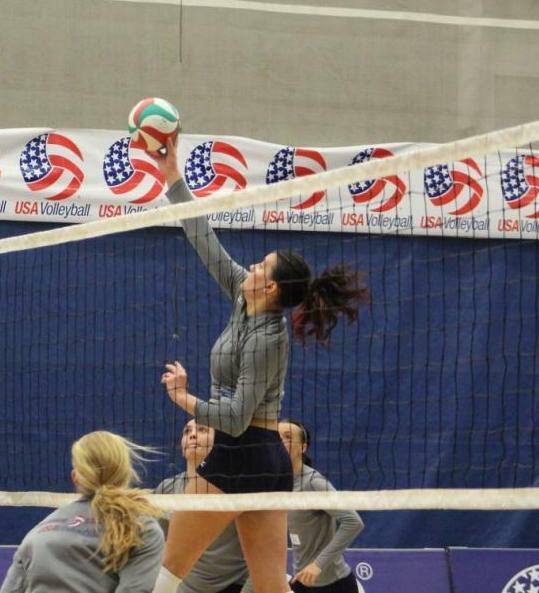 This report looks at the height of four women’s collegiate volleyball teams. This information may help coaches manages current and future expectations of their players. This report analyzes data from the University of Colorado volleyball media guides to evaluate the number of points the team won during the 2006 to 2008 seasons. There is a slim margin between being an elite team and a second or third tier team.